RIP Roger Ebert. Hope Siskel saved the aisle seat for you. Oh come on, Gene! He was an angry guy….He lost his son. Joshua. Sigh. 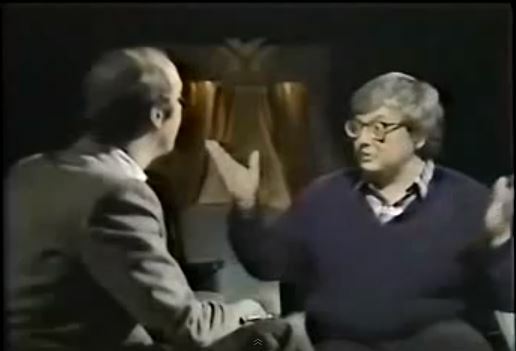 Roger Ebert has died, and here I thought he was going to beat cancer. In tribute, I’ll post about War Games yet again. 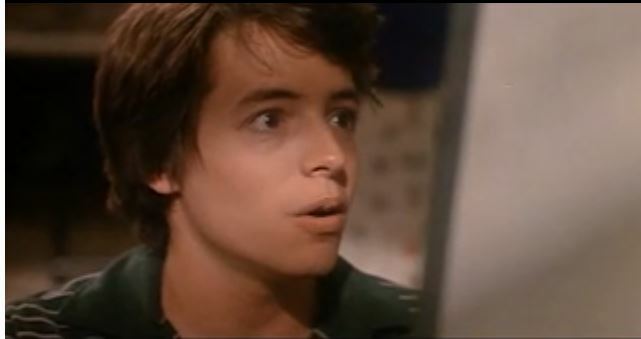 Here is an “At the Movies” review of War games. He and Siskel sound like they’re arguing, but they’re both right. Let Me Make it Up to You with War Games. That was true, by the way. Martin really did get fired from War Games. Much has been written about Brest’s career, but I think this passage from War Games’ Wiki page sums it all up nicely. Martin Brest was originally hired as director but was fired after 12 days of shooting because of an on-set argument with the producers, and replaced with John Badham. Several of the scenes shot by Brest remain in the final film. Badham said that “[Brest had] taken a somewhat dark approach to the story and the way it was shot. It was like [Broderick and Sheedy] were doing someNazi undercover thing. So it was my job to make it seem like they were having fun, and that it was exciting.” According to Badham, Broderick and Sheedy were “stiff as boards” when they came onto the sound stage, having both Brest’s dark vision and the idea that they were going to get fired in their minds. Badham did 12–14 takes of the first shot to loosen the actors up. At one point, Badham decided to have a race with the two actors around the sound stage with the one who came last having to sing a song to the crew. Badham lost and sang “The Happy Wanderer“, the silliest song he could think of. For me, this is the last word on Brest’s contribution to War Games because this implies that it was Badham and not Brest who was responsible for my favourite bit in the film when Ally Sheedy laments that she will miss out on starring in a local morning aerobics show because the world is going to end. Brilliant. I guess I should just throw out my matching leotard-tights-leg warmer combo. All that racing around the set also explains why Sheedy and Broderick are always sweaty. Because they were running around…not because they were doing Nazi stuff, sneaking around behind everyone’s back, insulting teachers, thumbing their noses at travel agents and school administration, not waiting for the release of text-only computer games, finding back-doors, playing April Fools Day pranks on their Lerlines. Oh right. That was me. Sorry about that. Will the War Games trailer make it up to you? It’s pretty good.